Sinlahekin Valley is the heart of the Sinlahekin Wildlife Area, a large unit managed by the Washington Department of Fish and Wildlife. 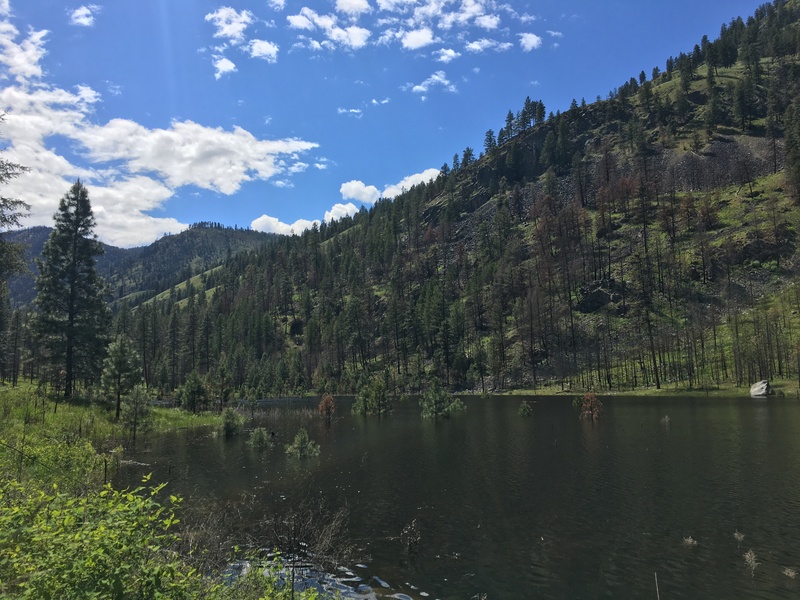 A mixture of ranch land, managed big-game area, protected wildlife refuge, and dedicated recreation area, Sinlahekin is a beautiful, bio-diverse and extremely habitat diverse region protected from human over-run more from remoteness than anything else. The valley itself is a 16 mile long, 1/2-mile wide glacier-dug trench near the Northeastern slope of the Cascades. With steep valley walls reaching up to 1600 ft, the Western side is deeply influenced and firmly a part of the Cascades’ slope. With steep soaring cliffs, high-spilling waterfalls, rocky outcroppings, it feels much more “mountain” than the other side. The Eastern side has much more rolling slopes, more open meadow and field area. The slops and high areas of either side of the valley are populated by bighorn sheep and marmots, as well as other upland wildlife and game birds. The valley floor, where I spent most of my time, has a diverse mixture of migratory songbirds, waterfowl, resident Central Washington birds, and the ever-present Pacific Chorus Frogs that are a fixture of the Northwest Soundscape. I was lucky on this visit to be there on days with almost no wind. A gentle breeze blew through from time to time, but for the exception of one dusk blow-through the air was still the entire time. One signature of this visit was distant water spillage. I’m told that normally at this time of the year the cascade spills have flushed to a drizzle and the creeks and marsh ponds of the valley have peaked and are on their downflow. However, as we now know this past winter was an incredible anomaly, setting record rain and snow fall throughout the Northwest. Cascade spills are still shooting over the western wall of the valley. The spring-fed creek that lazily winds through the valley is surging at nearly 20 its normal flow. Ponds have tiny green islands that are actually the tops of the trees that ring the normal shore. I’ve not filtered any of the water wash in these recordings. I don’t like doing that. These are unprocessed “recorded in the raw” recordings, with no editing beyond simply choosing the start & stop points, each from 3-4 hour long takes. Enjoy!